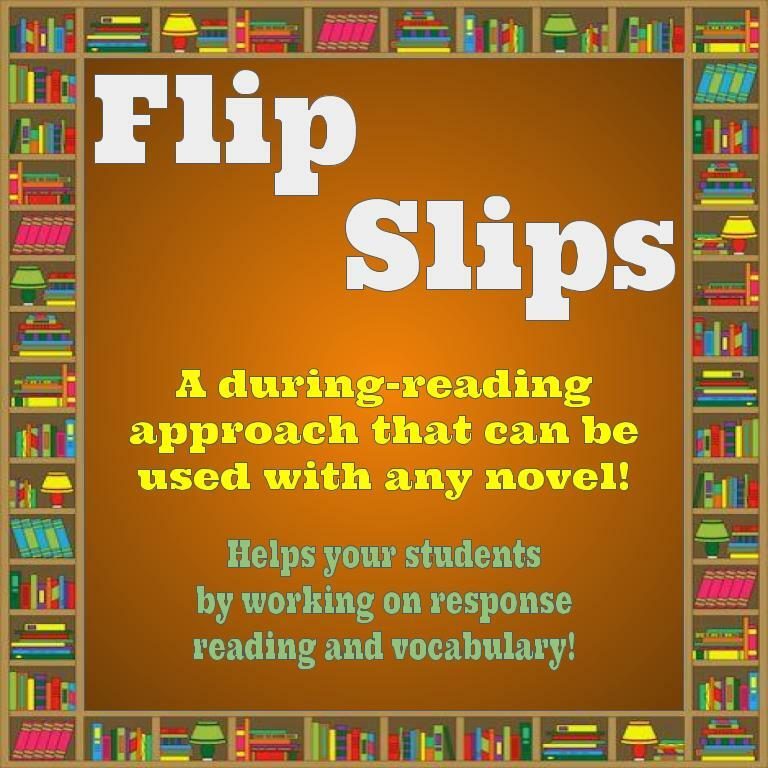 I have been teaching high school English for twelve years, and this product, which I have decided to call Flip Slips, is the best and most flexible during-reading assignment I have ever used. See the description from my TpT store below, and check it out! It's affordable and will save you time and effort over the summer, or at the start of the upcoming school year, when it comes to that new move you're going to teach or that "oldie-but-goodie" that you have taught for years and just want to give a "facelift." Are you a reading, language arts, or English teacher that is getting ready to teach a novel? Perhaps you're getting ready to have students do an independent reading assignment? 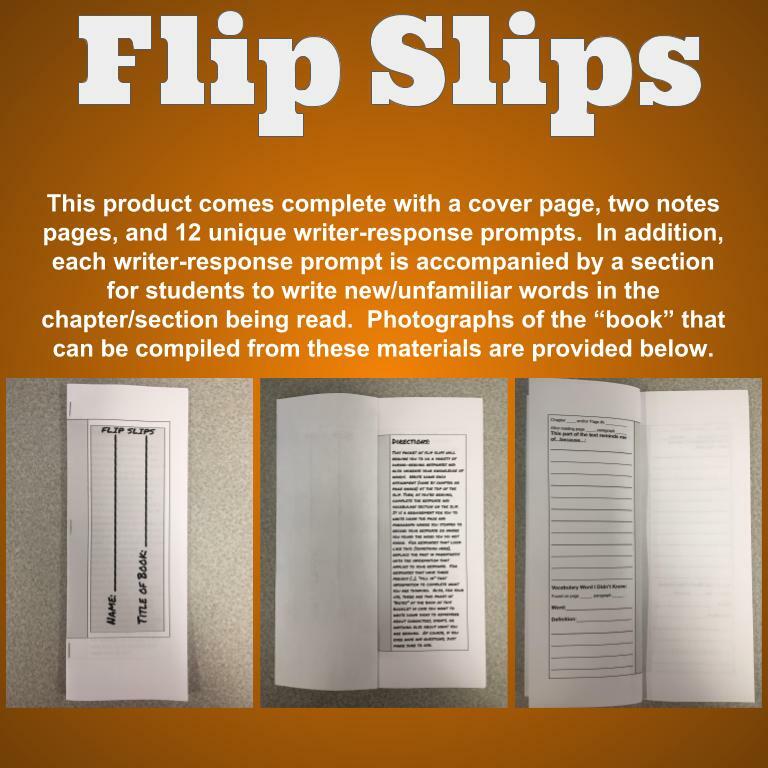 Whatever the case may be, I designed Flip Slips to work with any type of novel. The concept is simple - students have during-reading prompts that help engage them withe assigned reading as well as a section for new vocabulary that they encounter while reading the assignment. 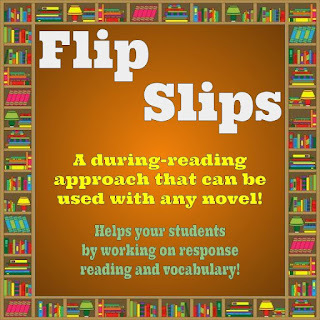 One "slip," consisting of the prompt and one vocabulary word, is short and simple. It provides a level of accountability for students to do their reading, while also encouraging students by not being overloaded with 5-10 questions for each chapter. The product description in my TpT store will give you more information about how I use the assignment in my own classroom. I hope you will take e moment to check his out.